Stay up to date with Montana Journalism Abroad on Facebook, Twitter and Instagram. 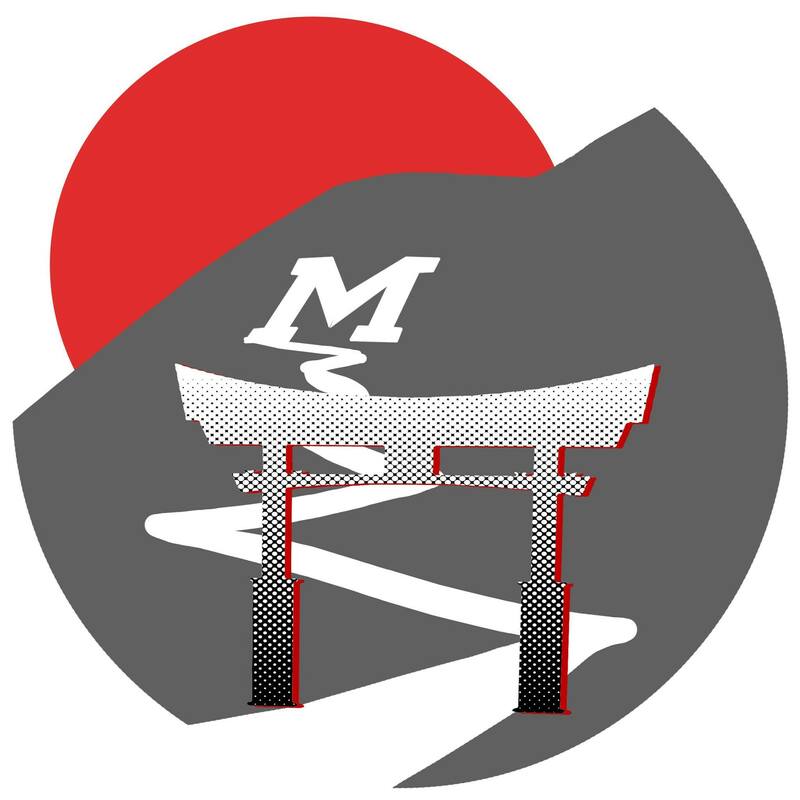 In May 2017, a group of Montana Journalism Abroad (MTJA) students will travel to Japan and report on the issues that continue to affect people displaced by a trio of disasters that struck the northeast part of the country in 2011. On March 11 of that year, a severe earthquake triggered a tsunami that decimated coastal towns, and damage from the wave led to the meltdown of nuclear reactors at the Fukushima Daiichi power plant. The nuclear fallout forced citizens to drop everything and leave their homes behind. After five years of clean-up efforts, the government has started to encourage people to return to their homes, but many people remain fearful of lingering radiation. During their trip, the students will tour the affected areas, interview citizens and government officials, and then produce a multimedia package that tells the stories of the Fukushima nuclear disaster. These stories of displacement will resonate with Montanans who are no stranger to natural and industrial disasters, such as wildfires and leaking mine waste. As the group prepares for the trip, they are raising public awareness of the ongoing challenges of Fukushima residents. With the screening of the documentary “Alone in Fukushima,” students invite the Missoula community to take a closer look at life inside the red zone. Just seven miles away from the nuclear power plant, Naoto Matsumura is the only person left in town. He risks the radiation to look after the domesticated animals that families left behind. Japanese filmmaker Mayu Nakamura follows Matsumura on his quest to care for the creatures and save them from starvation. This Thursday, November 17, join the students of MTJA as they screen “Alone in Fukushima” at 6:30 p.m. in room 210 of the J-School. After the film, the director will skype in from Japan for a Q&A session. Admittance is free, but any donations are welcome and will help reduce travel costs. 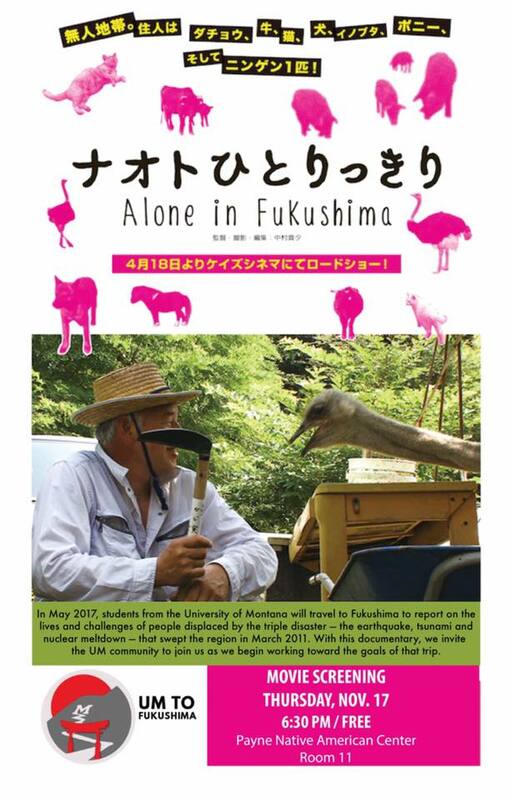 Check out the trailer for Mayu Nakamura’s documentary “Alone in Fukushima” on YouTube. When is the fundraising dinner at Sushi Hanna? Do you need tickets or can you just show up at the restaurant?